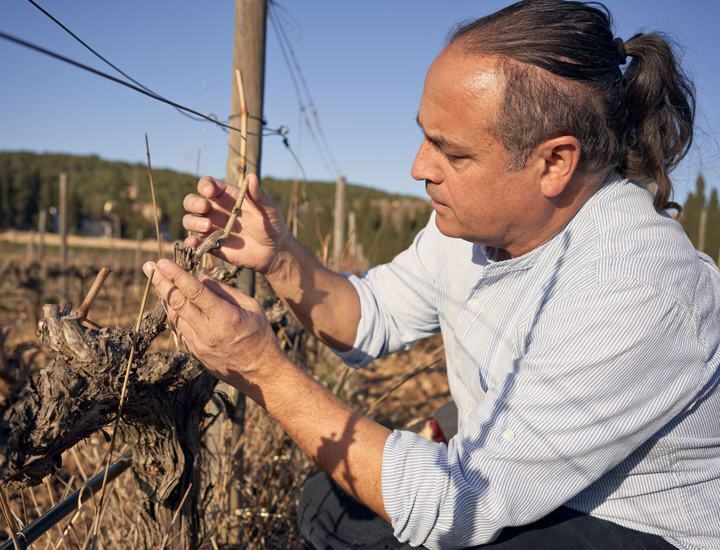 From the moment we get up until we go to sleep, in the Penedès we live for the vines. We walk through vineyards, we work surrounded by vines. We fall in love with views of the vineyards and, when we are sad, we console ourselves and recover amongst the vines. 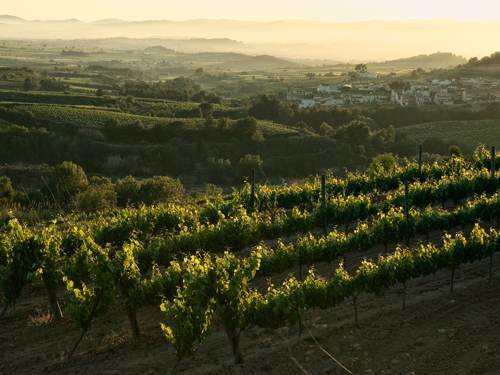 Because to walk through our vineyards is to breathe in nature, biodiversity, culture, history. Our vines are our treasure. And we have taken care of them and loved them for you. Because only with the best vines we will be able to make the best wines. The basis of organic farming is observing and listening to the vineyard. We work with a plant cover to oxygenate the soil in the most natural way possible. And we use green and organic fertilizers, using the remains of the vine and animal manures suitable for organic farming. We completely avoid the use of insecticides with sexual confusion techniques or through the balance of biodiversity on our land by reintroducing, for example, bat colonies. We always look for the varieties that adapt best to our environment and, for some years have been immersed in a complex R & D project in the search for varieties resistant to pests that should allow us, in the near future, to completely eliminate the use of copper and reduce applications of sulfur in the vineyard by 90%. 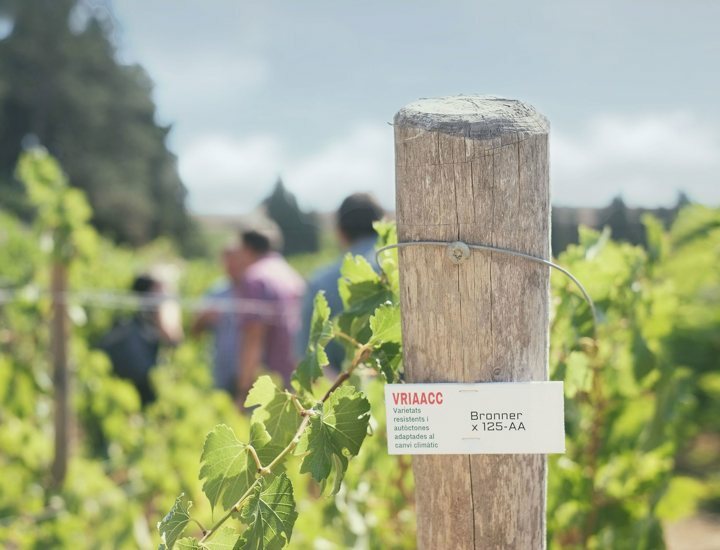 All our production (both our own vineyards and those of our suppliers) is certified by the CCPAE and is strictly controlled by our vineyard team. Most of our vineyards are located in the mountains of Ordal, arranged on terraces, slopes or in small plots that we can work in a personalized way depending on the orientation, the hours of sunshine, the humidity and the altitude. 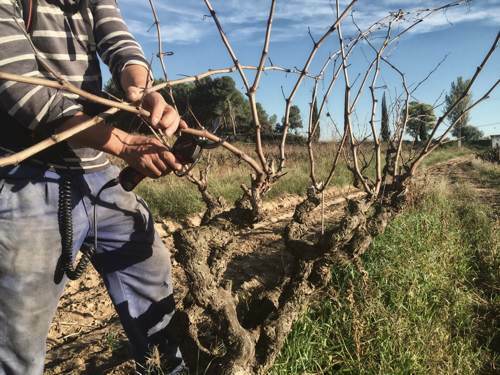 Like all good vineyard soils, those of Can Vendrell are poor in organic matter, with variable contents of clay and sand on a limestone bed, a permeable soil but with a good moisture retention capacity. We love to experiment, mix it up, try new things ... Over the years, we have planted and introduced more than 20 different grape varieties, working with the local varieties of the Penedès but also looking for the best adaptation and the excellence of international varieties that have given us great joys over the years. Among the whites, we have Xarel·lo, Macabeu, Parellada, Moscatel, Chardonnay, Viognier, Sauvignon Blanc, Riesling, Garnatxa Blanca and four experimental varieties. The reds are Ull de llebre, Garnatxa, Cabernet Sauvignon, Merlot, Syrah, Pinot Noir, Caladoc, Marselan, Arinarinoa and six experimental varieties. Faced with of the threat of climate change and always looking out for the environment, we are leading the VRIAACC project for the development of Resistant and Autochthonous Varieties Adapted to Climate Change. These new plants, of which we have planted experimental vines by taking the German model of the PIWI, must allow us to eliminate all copper treatments in the future and reduce the applications of sulfur in the vineyard by 90%, since they incorporate a fungal resistance gene. They will also ripen later in the season and will be more resistant to drought. 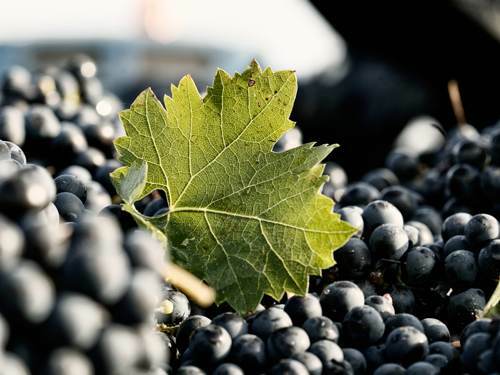 The reduction of treatments in the vineyard will also bring other benefits for the soil (less compacting and less waste), for the environment (less CO2 emissions) and for the final consumer (healthier wines at a lower cost). At the end of the 20th century we were not satisfied with traditional grape varieties and wanted to look a little further. The project to recover ancestral varieties was born out of this curiosity. To look where there had been a vineyard in the past that had been abandoned since the phylloxera crisis. To search through our vineyards, through long abandoned fields and among the oldest vineyards in the county.By 1998 we had found 7 varieties and we planted a small vineyard with 500 vines of each. During 5 harvests we studied them, vinifying each variety separately until, in 2006, Marina Rión appeared, our first recovered variety wine. Later came Belat, a red grape that has given us one of the finest, most elegant and exclusive wines in our cellar. And we continue to investigate, harvest after harvest, seeking that excellence and authenticity that made us (and still makes us) uniques.